While there are certainly exceptions, most nights make it quite challenging to take in two great shows in a single evening. Much to our delight, tonight is one of those rare cases when our two top choices don’t have us pining for a Columbia City to Ballard bullet train. As an added bonus, the timing of our top picks tonight mean you’ll likely be able to take in all sets at each venue. 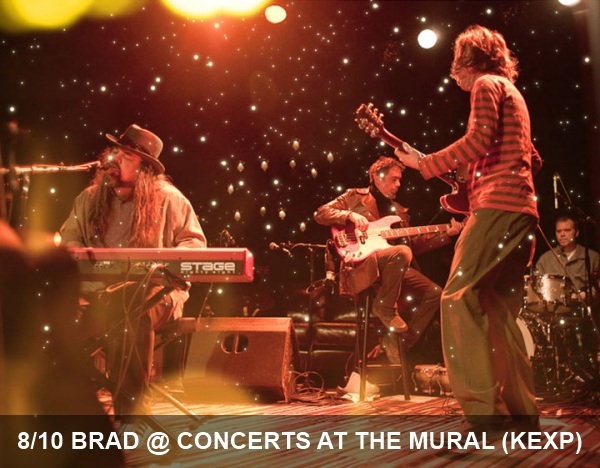 Start the evening off with one of KEXP and Seattle Center’s excellent, free Concerts at the Mural. Show up at the base of the Space Needle right around 5:30pm to hear local purveyors of lo-fi pop Posse – fingers crossed for a Smog cover. At 6:30, the assembled masses will be treated to some of Seattle’s finest she/he vocals and sing-along folk from The Young Evils. The evening’s headliners, Brad, will kick off their headlining set of soulful vocals and grunge-inspired grooves at 7:30pm. Whenever you’re ready, head down a few blocks to The Crocodile to see what just might be the best pop rock lineup of the summer. Ships, “Seattle’s most refined power pop band,” will kick off the Belltown portion of your evening. 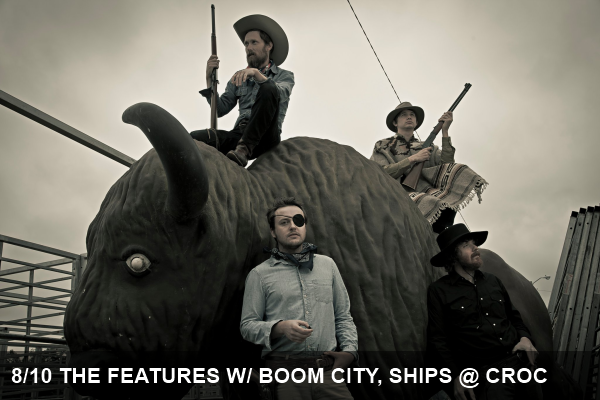 Following a lively, yet still “refined” set, frontman Jacob James will turn the stage over to former bandmate Eric Howk of The Lashes and his new excellent power pop band made up of members of Visqueen, The Greatest Hits and Megasapien for Boom City’s album release performance. Last up, SLM favorites The Features will take the stage to crank out a full set of consistently solid, cleverly-worded, keyboard-driven pop rock gems.